Greatest Year Ever is the best selling audio Book! Without You Even Knowing It? sabotaging your every action once and for all! Name anyone (public or private) who is highly successful. He or she learned early on how to do something that most people never do their entire lives. I want to make sure that YOU learn it too. If you don't feel 100% satisfied with the life you are leading, it is because of blindspots in your life where you are actually sabotaging your own best interests and highest worth. You are actually PREVENTING yourself from achieving your own success in all aspects of your life. You don't know it because you can't see the pattern you are stuck in. Used many self-improvement products, and you still don't feel like you have made any change in your life. Make excuses: "I tried to get it done, but..."
Create dramas or blame others: "I can't believe she did that to me!" Procrastinate with non-essential tasks: "I wanted to finish writing another chapter, but Mary was begging me to go to the movies"
Leave projects to the last minute: "I work better under pressure"
Are not prepared: "I like to work creatively and don't like to be constrained by a schedule"
Avoid doing tasks that will propel your business forward: "I know I should make those phone calls, but the phone seems to weigh 100 lbs!" Show up late: "Traffic was just terrible today!" Make commitments and don't keep them: "I'll make it up to you next time"
Fall into despair: "Nothing is going right. I'll never reach that next level!" Are disorganized: "Now where did I put that client's documents?" Stay in the comfort zone and don't take reasonable risks: "I'm afraid of being laughted at if I ask for referrals"
Set goals and don't complete them: "It was unrealistic for me to try and make that much money last month anyway." The Truth Is, You Are Not Alone, & It's Not Your Fault. You've read the books, heard the lectures, attended the seminars & meetings, listened to audios, and tried to get motivated through other peoples' affirmations. Why hasn't any of it worked in the long term for you? Rest assured: You are not broken. There is nothing wrong with you. The truth is, if those things haven't worked for you, then you have some self sabotage that is working behind the scenes in your life... keeping you stuck in a rut. The only way to get out of that rut is to go THROUGH something. You must go through a specific process. This process must be followed to identify, isolate, and remove those self sabotaging patterns. That being the case, it doesn't matter how many personal development courses you take, how many seminars you attend, or how many motivational audios you listen to. If you don't learn how to stop the self-sabotage, none of those things will do you any good because you are subconsciously PREVENTING yourself from making any effective changes at all! It's Just Not Going to Stick! Don't worry, I'll teach you how to break through those self-sabotaging patterns and kick them to the curb so you can start making some real changes in your life... guaranteed (more about that later). You see, I have spent the last 15 years of my life discovering an extraordinary method of helping people tap into their inner wisdom and power to accelerate the rate of success in ALL areas of their life. I have mentored and coached thousands of people just like you. I have helped clients get back on track and reach their goals in numerous areas such as business, finance, relationships, health, career, spirituality, and all other important areas of life. By coaching thousands of clients, conducting in-depth interviews with over 100 multi-millionaires, and "getting into the heads" of the most successful people on the planet, I have developed a profound knowledge and a system that removes self sabotage and limiting beliefs forever. I Will Show You the Step-By-Step Process for Eliminating Self Sabotage In My Greatest Year Ever Home Study Program. I call it Greatest Year Ever because it gives you the foundation to literally turn every aspect of your life around. It is so powerful, you can emerge as a brand new person (if that is what you desire). The process works fast, and you will feel results starting from Day #1. "How Do I Know If This Will Work For Me?" Now obviously, I can't know what your exact situation or circumstances are. But I DO know how to eliminate what's holding you back. I don't care how young or old you are, male, female, a doctor, clerk, salesperson, lawyer, whether you are a successful business owner, or are just starting out. Your age, income, education, status, intelligence... none of that really matters. One fact IS true about you, and it is why you feel unfulfilled, unrewarded, and stuck where you are in life. Your past circumstances can't hold you back any longer. You can choose to eliminate your self-sabotaging behaviors, experience your Greatest Year Ever, and experience a different sense of deep fulfillment. All you have to do is decide to actually do this! This process has worked for 15 years for my clients, and I know it will work for you too... guaranteed. "Okay, So What Exactly Will Be So Different?" One of the best ways I can describe the process is that your perception will dramatically change. For example: When you buy a new car, suddenly you notice all the other cars just like yours on the highway. They were there all along, but you didn't see them as you do now. Your perception changed. Or, if a lady wears a fancy dress to a party, she feels great, everything is fine, and she's having a good time. But then she sees another woman wearing a dress just like hers. Now everything at the party changes for her. Nothing is the same for her from that point on: the food, the festivities, how she interacts with the other guests -- all because she now knows that another woman at the party is wearing an identical dress to hers. Perhaps the best example is that you will no longer be a "tourist" in your own life. ...but that won't be YOU any more! After experiencing Greatest Year Ever, you'll know what to look for and where to invest your time and attention. You can't be distracted as you are now because you'll have an aim and a direction for achieving your dreams. Successful people don't browse. They know what they want, but more importantly, they know how to get it. Greatest Year Ever will show you how to do that. Much more relaxation starting from Day #1. You won't have that wild-eyed, "There's so much to see and so little time" tourist mentality. Rock-solid confidence flow from your every action because you'll know where you're going. You won't be asking directions all the time (like a tourist). People will seek your company and opinions, much like tourists are attracted to the wisdom, insight, and advice of the locals. "Increased Vision, Wealth and Happiness"
"I have been a millionaire twice and a billionaire once. I have worked with the top business, political and spiritual leaders in our nation and I have found working with Kenneth Foster to be an extraordinary experience. He is the Coach's Coach. He helped me to expand my vision, get clear with my direction, and showed me the way to have more wealth, happiness and success in my life." "Open up Possibilities and Redefine Yourself"
"Ken asks questions which go beyond the current reach of my own thinking. That alone has made it possible to grow personally, professionally in ways that would not have been possible otherwise. 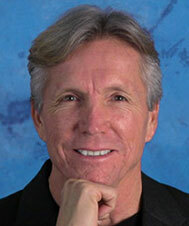 Ken Foster will blow the doors open to possibilities you cannot now imagine yourself doing. Just how big an answer do you want?" "I Had a Struggling Career and Relationship - Now I Run My Own Business and I'm Happily Married!" " I was struggling with career choices and transition, and trying to figure out how to move my relationship forward. In working with Kenneth and focusing on my desired outcomes, my life has been one continuous opportunity of growth and opportunity. Today I am happily married, graduating from school with a Masters degree, and developing my own business where I can be of service to myself and others. Kenneth Foster was the catalyst!" "I Developed a Business Plan That Helped Me Do Work I Love Within Three Months!" "As a result of our work together, I am a successful business woman and performance coach. I have been liberated to live with integrity from my passion and purpose. There's no going back! "My partnerships are better, my revenues have doubled and my personal life is the best it has ever been"
"Ken is a crucial part of the success I have generated over the past 12 months. His coaching has impacted my life in several areas where I was feeling stuck. I have new vision, new purpose, and new direction in my business. My partnerships are better, my revenues have doubled and my personal life is the best it has ever been; no question this is my "Greatest Year Ever! I highly recommend Ken." "So What Exactly Is In Greatest Year Ever?" 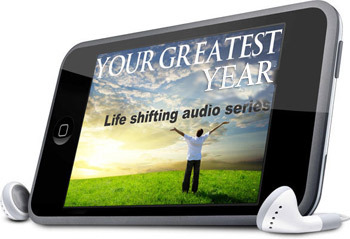 Greatest Year Ever is an action-focused success system developed over 15 years. The home study program contains a 160 page workbook and 6 full audio downloads that will be your guiding force throughout the next 90 days. Before I put this into a home study course, my clients regularly paid me $1000s just for the information that is contained in this program. Once I put it into a home study course, I have regularly sold this program to my clients for $297, or more! But you won't pay $1000... or even $297... or even $197. What does it take to own it and make it yours? Patience is a virtue. Keep reading. Because I've got something even better lined up to add on top for you. As I said, you will not have to invest the full amount in order to get Greatest Year Ever sent to your door. Why? Because I want your success story. I'm not trying to get rich off of this. I am much more interested in getting this into the hands of the people who need it most. I'm trying to get it into YOUR hands. Many clients have paid me $1000s for access to the information just contained in Greatest Year Ever. But you WON'T have to invest $1000 to own it. You won't have to invest the actual retail price of $297. You won't even have to invest the reasonable amount of $197, which would be about 25% of the total value. All you need to do to own Greatest Year Ever and change your life is one small investment of $97 (less than 15% of the total value). Yup, that's it. Just click the Add To Cart button, and it will be immediately shipped to your door. That's all you have to do. The Greatest Year Ever Success Program is covered by a 100% 30-day money back satisfaction guarantee! You’re either absolutely thrilled with the results of this program… or I will refund every penny of your money. Keep planning for "someday," affirming other people's visions, dreaming about what "could be," working on and on with no progress, scheming for the lazy short cut to fulfillment... and on and on, without actually changing any of the vitally important things that sabotage your actions and keep you stuck on the same unfulfilled path. Invest in Greatest Year Ever and OWN your life. You can finally stop being a tourist and make your life the way you want it to be. I'll show you what to do differently and teach you exactly how to do it. This turns lives around fast! Just click the Add To Cart button, and it will be immediately shipped to your door. That's all you have to do. Note: This offer is for the digital download version only. Author: "Ask & You Will Succeed", "Greatest Year Ever"
P.S. Here's another reason why Greatest Year Ever is so powerful. It leads you to what YOU seek and truly desire. It's not based on some arbitrary idea of what I or anyone else thinks is important or fulfilling. It what's right for YOU. P.P.S. I'm a believer in syncronicity and timing. This could be one of those events that is just what you need to make the massive shift in your life you have been waiting for. The truth is, this one time only offer has been emailed out to over 20,000 people. I only have less than 50 home study courses remaining, and I am seriously cutting off the strategy sessions to the first 10 people only. So rest assured, these will go very fast. I cannot guarantee that this offer will still be available tomorrow, let alone even an hour from now. If you realize the massive change that a session with me can give you, and you feel that this is right for you, then you should probably click the Add To Cart button right away. Destiny favors the decisive.